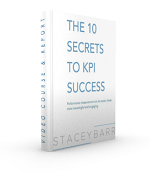 Lots of organisations are paralysed part-way through their KPI implementation. They started with all good intentions, but now they have dead and dying measures trapped in the KPI column of their strategic and operational plans, never to see the light of day. Doing all this at once is too much. And when it inevitably grinds to a halt, you have nothing to show for it. There are few or no powerful performance measures and there’s no progress toward high-ROI targets. It might sound counterintuitive, but starting smaller actually means you achieve much more, and much faster. That’s what a system of project ripples achieves. We implement performance measurement systematically, in ever-growing ripples of projects. 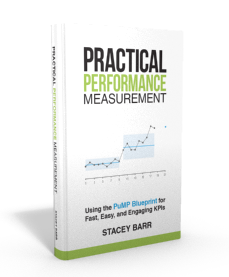 LEARNING: Start with just a handful of performance measure implementation projects, with an intention of producing just a few measures, and the priority outcome on learning the methodology. 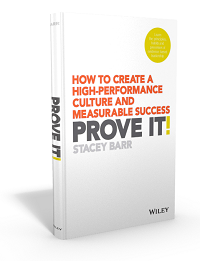 PROVING: Then take on a dozen or so more performance measure implementation projects, with a slightly broader scope and the priority on proving that the methodology does produce meaningful measures and quantitative progress toward targets. ENGAGING: Get more people involved in developing the performance measures for their business units, putting the priority on getting engagement widely across the organisation, and still making more quantitative progress toward targets. TAILORING: Review where you’ve gotten to, and decide if the methodology needs any tweaking to fit your culture (or the culture you want) and integrate with your methodologies for strategy design, strategy execution, and your core business processes. REACHING: Blend the tailored methodology into your business systems and continue to implement performance measures where they are needed, with the priority on reaching high-ROI targets. So at each ripple, you’re working with more people to produce more meaningful performance measures, and reaching more targets. All the while, you’re embedding rigorous performance measurement practice into your organisation, at a pace that people can keep. Calling all PuMP users: what performance measurement projects have you implemented to completion? Which succeeded (i.e. improved performance) and which failed (i.e. didn’t improve performance)?